BMW of North America said today that it will raise prices on most U.S. models an average of 1 percent effective Oct. 1. The move increases 1-series prices by $300, 3 series by $500 -- except for the 335td, which goes up by $200 -- and most 7-series sedan, X5 crossover and Z4 models by $500. The automaker said prices will stay the same for the redesigned 5 series, introduced earlier this year; the ActiveHybrid X6 and 6 series; the ActiveHybrid 7 and the 5-series Gran Turismo. Pricing won't be released for the redesigned X3 crossover until next month. The vehicle goes on sale in late December. Editor's note: The headline on an earlier version of this story misstated the scope of the price increase. The price hike is for U.S. models. 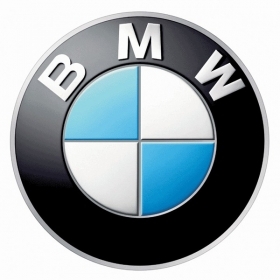 Woodcliff Lake, NJ – September 23, 2010…BMW of North America, LLC today announced an average base price increase of 1% for many BMW vehicles sold in the U.S. effective October 1, 2010. The recently launched BMW 5 Series is unaffected by the price adjustment. The BMW ActiveHybrid X6, the BMW ActiveHybrid 7 and the 5 Series Gran Turismo are also unaffected. Pricing for the all-new 2011 BMW X3 will be released in October with vehicles arriving in BMW Center showrooms in late December.